In contrast to suspected astral travel, non-body travel is not a one-dimensional concept. Each astral trip may not be a real trip. The reasons why the evidence seekers cannot find what they are looking for and the experiences that can be proved even though the prize money has been put forward cannot be revealed. Almost everyone can travel outside the body, but everyone may not have a real experience at any time. People who may have experience in the way they want at any time are also people who are in the position of proving nothing or not after the prize. 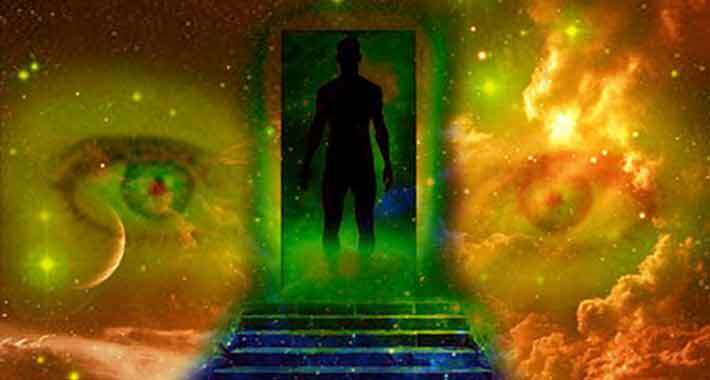 I don’t intend to share detailed information about Astral travel in this article. You can read the articles below “Astral Projection Travel“. I have already shared the definitions under this topic under “What is Astral Travel“. In this article I would like to open some of the 3 astral travel types I mentioned earlier. Definitions can be undergoing different forms in different sources, may be more or less mentioned in the varieties of astral travel. I suggest that you do not stick to such differences. It is the stage of images formed by the effect of their own desires and desires and subconscious records during the period when the person is still in the ego stage. Just like the images in deep trance or under hypnosis. Images are shaped according to the knowledge and experience they have gained in life. The accuracy of the images is not clear. Even though there are partial real outputs, it is not possible to say anything about all of them clearly. Astral travel remains a concept that cannot always be sure, as most of those who are engaged in astral travel or who say they do astral travel do not get stuck in this phase. This phase is like different versions of the conscious dream. The opening of consciousness in the dream, conscious orientation in the trance, opening of consciousness during the transition to sleep can provide the transition to this phase. Most of those who have a spiritual structure suitable for congenital births are also close to this phase. Their ability to progress is weak because they do not come from the ground and do so with their spiritual sensitivities. By climbing up the wall you have not started directly from the other side of the wall. Their present points were limited to their natural births. When you want to read an article that you want them to read from this phase, there is no relevant data in the memory, so they cannot be read, seen as blurred, or added to the nearest subconscious images. Drawings on images; brain, subconscious and external influences are important elements. The ego with the spirit is still a big obstacle. The main purpose is to tell others about their experiences, to be accepted as important people, to empower their ego, to be applauded and to be applauded because it is the main goal. When the ego is not fed, the requests are extinguished and work can be discontinued. A real out-of-body journey starts with this phase. Matter is the soul that is active because the distance between the body and the Energy is significantly shortened. Real travels go beyond the matter because the material is not connected to time and space as the body. Displacement from the article plan, objectivity in evaluating the events, feeling itself in release in the void, opening in perceptions, seeing extreme psychic sensitivities, physical breathing, changing of the body frequency, feeling the energy flow, feeling and increasing the vibrations at certain points of the body, the main features of this universe between. The person thinks and lives at the level of mana rather than at the substance level. The bond with the substance does not go beyond necessity. A constant calm and serenity are observed. Concerns, worries and fears have lost their meaning in this state. Their perspective on life and people alters completely. Travels are real and can go wherever they want. However, it has no effect on the physical world. Travels are spiritual apart from matter. In this phase, “Precognition” features appear. This is not the informant. It is an image of variable and undefined events. Visions of dreams, snapshots, or what happened during or after travel may be related to events that are likely to happen in the future. In this phase, both matter and spiritual travel is concerned. Materialization and Dematerialization have become possible. Because the soul is superior to matter, matter has no effect on the soul. The restrictive provisions of matter and matter are replaced by the sovereignty of the soul. Going from one place to another, more than one place at the same time, standing in a physically located place in fact, both mentally and physically in other places, the physical effects from the material beyond the seen at this stage. In some cases, the person may not even be aware of it. People in the 1st and 3rd stage do not want to participate in the competitions to get the prize money, to try to prove it, to tell what they have experienced and to revive their egos. This is like going to the 50th floor and blowing up the basement. A person who transcends matter does not crush the soul and put matter upon him.